I’ve been blogging for a couple of years and I’ve learned some things. Improved my overall tech game. You have to stay up on all things tech if you want your blog to ever be remotely successful (page views, monetization, partnerships, etc). While I’ve always been pretty tech-savvy, blogging challenges me to be creative and be constantly thinking about “how can I do that” and “what would really make this better is if…”. Whether learning about SEO or twiddling around in photoshop I’ve learned a bunch of things that I actually aid my day job. Girls are mean. I thought I had an idea, I was sorority president and while my sisters are lovely, sometimes there are mean girls, or groups of mean girls, you have to encounter. Luckily, I haven’t been the focus of the interweb mean girls but some of my favorite bloggers are and it makes me truly reevaluate my blogging. I’ve heard how my friends rant about bloggers and it’s hard to put yourself out there when you really are opening yourself up to a lot of criticism. Confidence! I can’t even tell you how amazing it is to see those page views tick up and up or to get a response from someone saying how they love your blog and are willing to take a chance on you. It’s the best feeling. 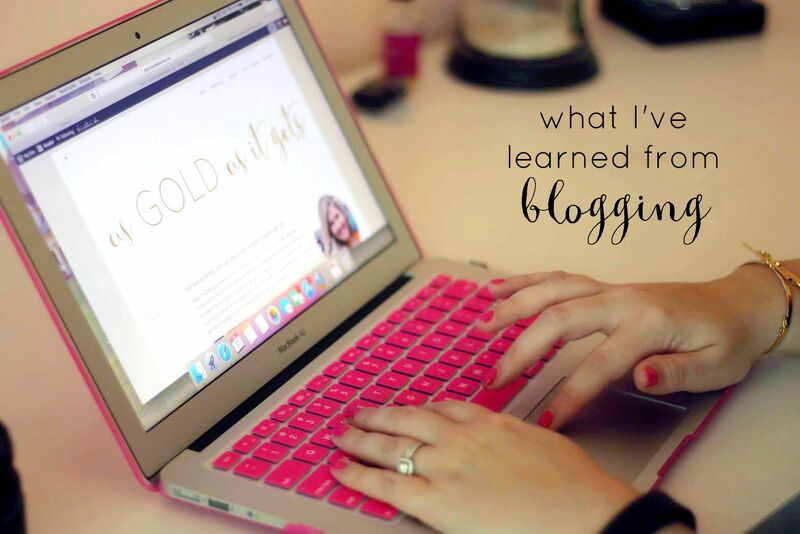 These are just a few of the things that blogging has taught me. Anyone else in the same boat? Categories: Good Career, Good Work | Tags: blogging, blogging advice | Permalink. How do you know when to leave your job? It’s one of the most difficult decisions and can really weigh on you. I have a lot of friends that are changing jobs/thinking about changing jobs/looking for jobs and there are so many things to consider. I changed jobs just over 7 months ago and I couldn’t be happier with my decision – but that doesn’t mean that I don’t miss things (read: people) about past jobs. Is your job fulfilling in the way it once was? We grow out of clothes, friendships, and… jobs. It’s okay to admit your job isn’t what it once was (or what you were told it would be). Are you waiting for a promotion that’s not going to happen? Money and titles are a big deal. It’s okay to have dreams bigger than your current salary and leave to pursue them. Do you no longer see eye to eye with your boss, co-workers or your company’s vision? These things can change -and when they do – they can drastically change your work life. You can avoid a co-worker or two, but a good boss is indispensable. We choose our friends and partners carefully and we should choose to work who bosses are accomplished, good managers and willing to work for a common goal. Bosses are absolutely a make it or break it sort of deal! Assess what you really enjoy about your job and determine your non-negotiables. Do you like working independently? Do you enjoy big products v. small daily tasks? Do you prefer an open work environment? These are all things that can help you land your dream job. By simply identifying these attributes about yourself, you can find jobs that are in alignment with your work style. You’ll be much happier even if it’s not your ultimate dream job. Be confident in your decision. You are the only one that can make this decision for yourself so be honest with yourself in the search process. I was really nervous to tell my last boss I was leaving, but I was confident this opportunity was too good to pass up – when I told her she was genuinely happy for me and even gave me a high-five! Know that changing jobs doesn’t have to burn bridges, bosses know they won’t have you forever, this is the natural cycle for business. Give your new job a chance. Changing jobs is HARD. Having to learn a new office culture, what feels like a thousand new people/names/what they do, and everything there is to know about your position… it’s a job in itself. It can take a few months to settle in and feel like your job is your new home, and that’s totally normal! 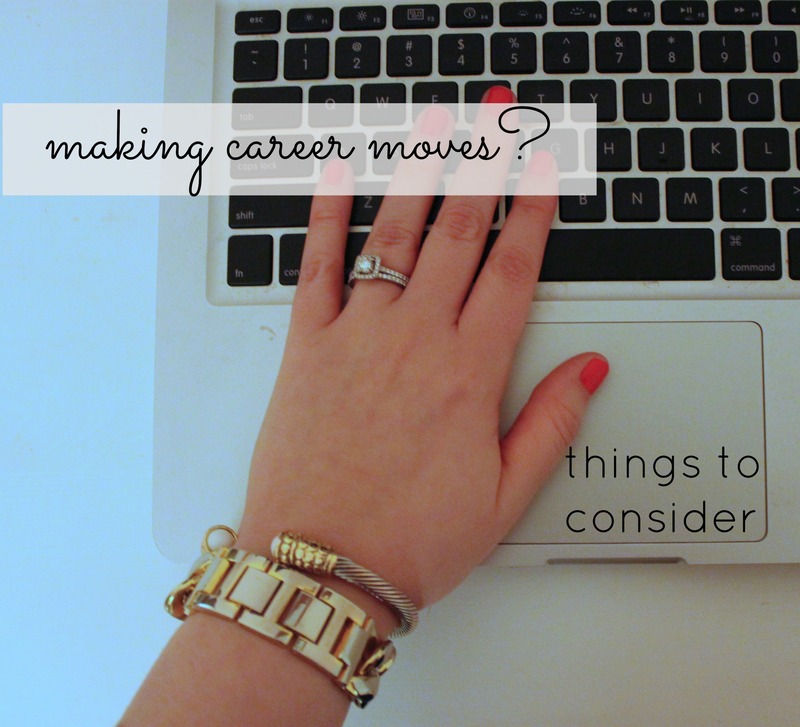 Have you recently made a career move? Was it what you thought it would be? I’d love to hear! Categories: Good Career, Good Work | Tags: career advice, career move, finding a new job, new job, should you get a new job, women career advice | Permalink.